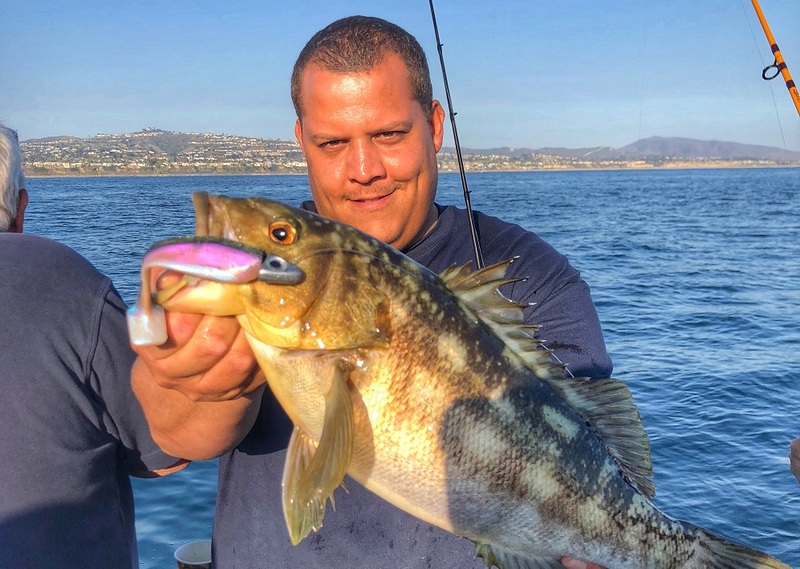 Calico bass fishing continues to go strong and yellowtail are showing up along the kelp lines at Dana Wharf Sportfishing & Whale Watching. In his weekly report, Captain Brian Woolley said you couldn’t ask for better water temperatures for bass fishing, around 73-76 degrees. The bass have been active on live bait and a variety of jigs, irons and baits, as they have been for a couple weeks now. Yellowtail are showing up in the bass kelp lines now as well, including some bigger fish in the kelp along Pendleton. Yellowtail and dorado are also being found in off shore trips.